This era is a good analogy for what is occurring today with our energy and environmental problems. As younger generations can see issues that lie ahead, unfortunately, there are still people in the population who fight tooth and nail to prevent change occurring. The current poster boy for this muddiness is the ex-chancellor Lord Nigel Lawson and his ‘Global Warming Policy Foundation’. A deliberate effort to promote a sceptical political agenda under the guise of an educational charity. Why would such a respected man, risk losing his credibility, long-term and go to all the trouble of trying to prevent change for these critical and connected issues. His ‘Global Warming Policy Foundation’ was recently condemned and exposed to be breaching Charity Commission’s rules. At least politicians, media and the more public will now know to treat information from Mr Lawson and his foundation with great scepticism. 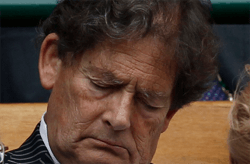 People like Lord Lawson with ulterior motives and whom ‘get in the way of progress, should now be seen in the same light as those who “declared the Titanic was unsinkable”. What separates the Titanic and the Earth are the billions of people who will be affected by severe climatic changes as opposed to the 1,517 souls lost because of similar egocentric people. Could it be a coincidence that it was Nigel Lawson’s term as Chancellor of the Exchequer that oversaw the privatisation of our current privatised energy system? Or is it a coincidence that the most prominent losers of an alternative and de-centralised energy revolution will be the same privatised companies that Mr Lawson helped create and likely still benefits from today. Unbelievably or not, is it again coincidence that today’s Chancellor of the Exchequer Mr George Osborne and his family tie’s to the fossil fuel industry have attempted to disrupt the recent growth in renewable’s such as solar panels with his widely publicised sceptical views. Therefore, could today’s blue Chancellor of the Exchequer be protecting the policies of the last blue chancellor? Their ‘anti-green’ rhetoric and ‘profit at any cost’ mantra that they preach probably suggests so and will historically make them both as foolish as the men who used Hydrogen to fill the Hindenburg. Mr Lawson and Mr Osborne are against real progress in the 21st-century world like India, China, Germany and the US, that are all currently attempting to dominate the world’s renewable’s industries show. Incompetent politicians, no matter how foolish their ‘self-interested’ decisions may be, cannot change the course of planetary destruction. Declining numbers of animals and the rapid rate of species extinction mean scientists now declare us to be in the Anthropocene – a new geological age of destruction were humans finally overpower the world’s ecosystems. I have only been walking on this planet for forty-something years, and I can see the difference to the world around me, feel the change in seasons and see the empty skies that birds used to populate. It’s this that makes Mr Lawson’s agenda becomes so sinister. At 82 years old, the changes that he would have seen in his long life would be undeniable. You don’t need an 82-year-old man to tell you about the changes that have occurred from human activity. Satellite data show the encroachment of man on the rest of the natural world and scientific consensus is indisputable. Mr Lawson and his self-serving foundation are choosing to ignore several glaringly apparent facts. The planet and its resources are already struggling to deal with 7 billion people. Population growth is unsustainable. It’s just pure mathematics. These are facts any ten-year-old today can understand, yet here we have an ex-chancellor that held the second most powerful position in politics who can’t or won’t! Even during the chancellor’s own time in Margaret Thatcher’s cabinet, he witnessed firsthand the damage a global technological civilisation can do to the planet with the CFC and the ozone problem issue. The ozone depletion was caused by the aerosol usage around the world and caused the protective layer of the worlds stratosphere to create holes, and that persists to this day in the southern areas of the planet. If a simple can of deodorant can have such an impact on the planet, then it shouldn’t take a government twenty-five years plus to conclude that human activity can damage atmospheric chemistry and land-based ecologies. Nigel Lawson is a man who has lived a long life and is now trying to convince the younger generation that the iceberg ahead is a figment of the imagination of the most important scientific minds. The reasons for this can only be speculation, but the shares in traditional fossil fuel companies that his family will one day inherit would be an educated guess. Mr Lawsons inaccurate and misleading information lobbied today’s decision makers against important policy-making, and he has finally been condemned as having views equal to those of Owen Paterson’s biblical levels of stupidity. Whatever the motives for his propaganda, he won’t be around to see the consequences of such meddling and like the parents of the baby-boomer generation found out, you can’t stop social change.